This is definitely the year 'pink' got tough. Forget fluffy and romantic, it's all about the earthy, 'dirty' peach tones. And it goes beautifully with the chocolate and rust notes of Autumn. 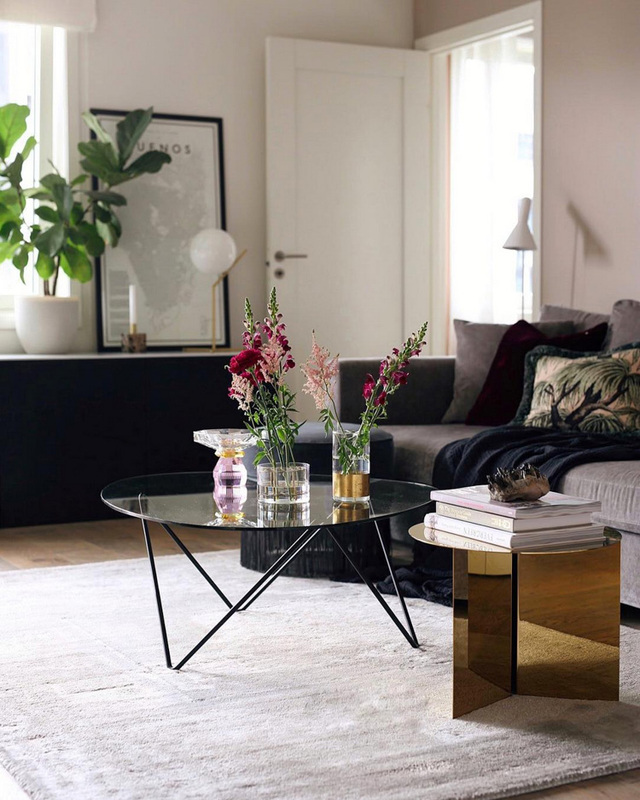 Take the beautiful home of Malin Antonsen as an example. 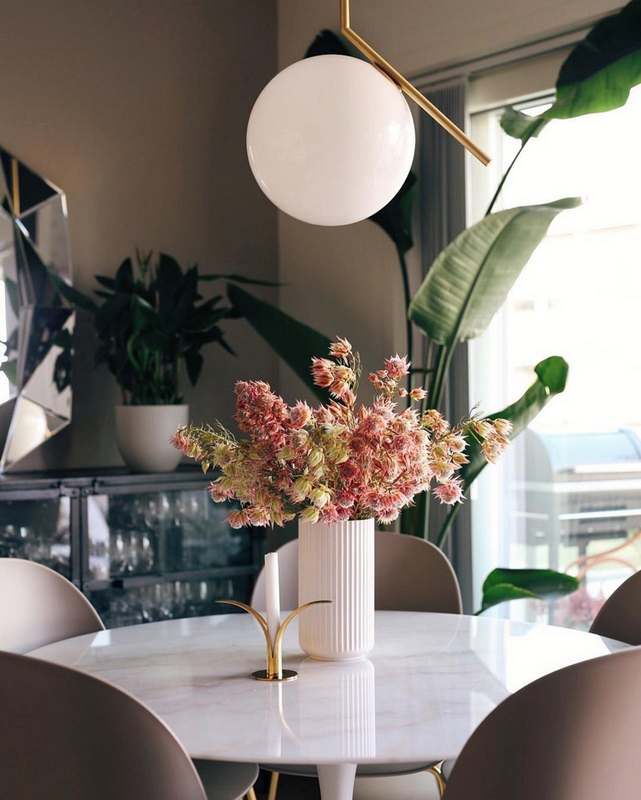 Malin is an interior designer living in Oslo, Norway with a penchant for "decor, flowers and other pretty things that makes life better". 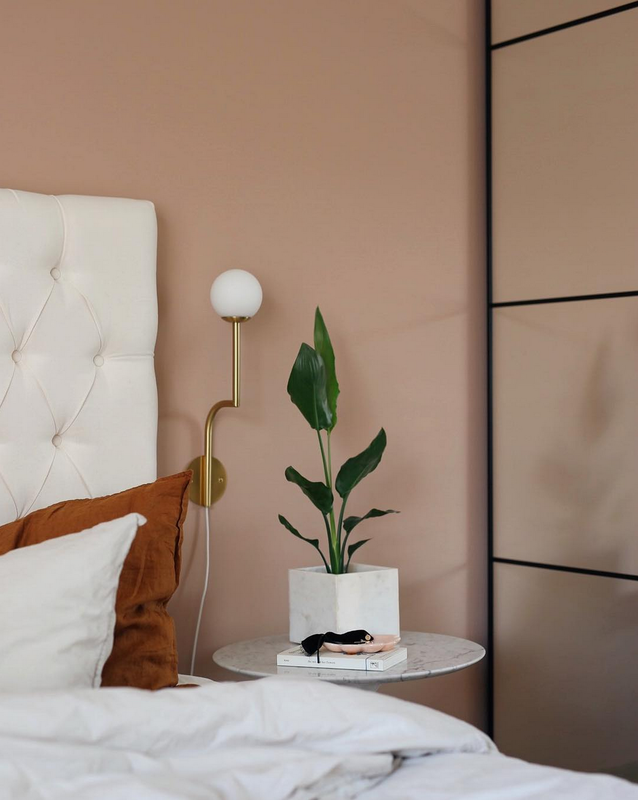 She has recently given her walls a once over in one of my favourite shades: blushing peach - I'm excited to see it looks equally pretty in the sitting room as it does in the bedroom. The hue also provides a soft, yet atmospheric background for abstract art, design classics, in-season bouquets and shiny details! Step this way! I so enjoyed this tour. Malin's home strikes a wonderful balance between classic and elegant and everything that's hot right now. I might just have to nick the idea of the Pholc light by the bed (I don't actually have a reading lamp right now so there's definitely a lamp vacancy waiting to be filled, and this Swedish one is a beauty!). 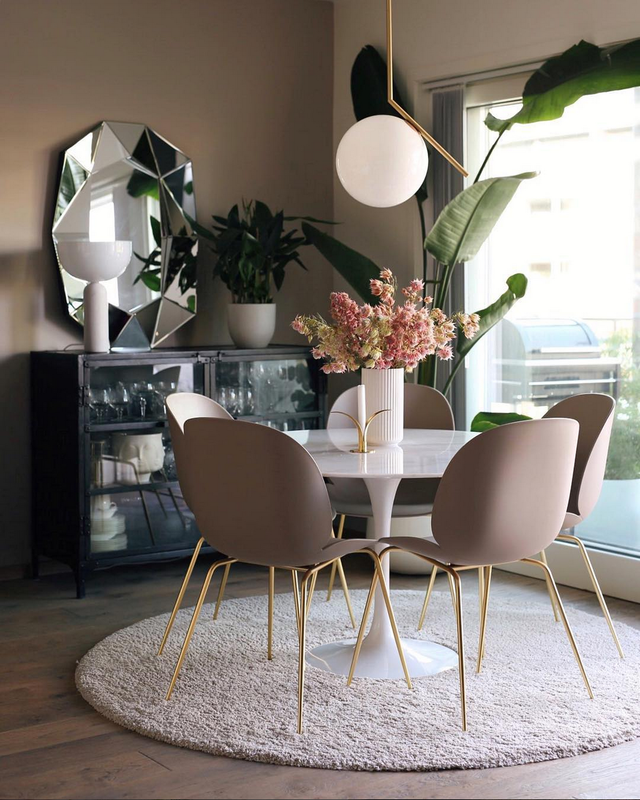 See more of Malin's lovely home on her blog. And continue soaking up the Norwegian vibe by taking a tour of a colourful retro funkis house, a relaxed artist's apartment in Oslo, the relaxed Norwegian apartment of Maja Hattvang. And of course - there were those four Norwegian bedrooms in yesterday's post! Photography courtesy of Malin Antonsen, shared with kind permission. Very nice interior, I really like this style. 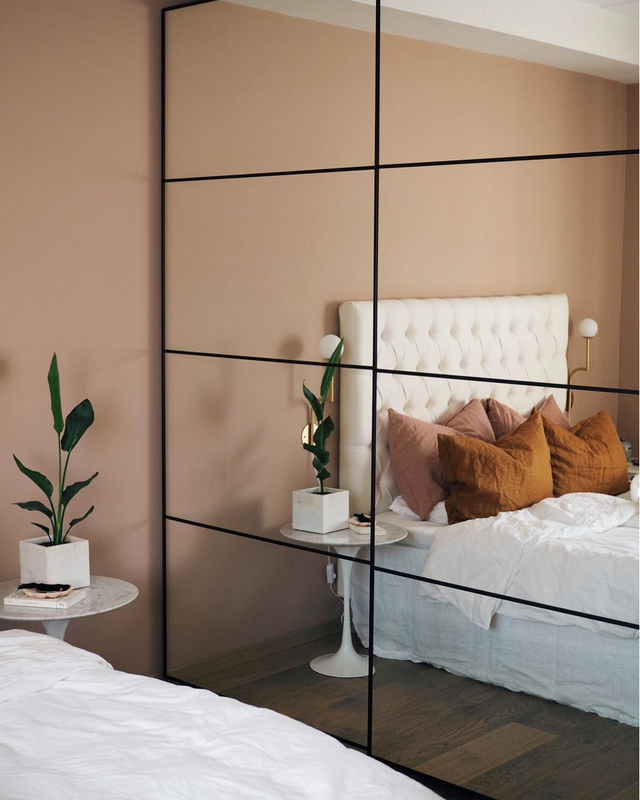 When it comes to what looks the most eye-catching here, it's definitely the wardrobe in the bedroom mirror that seems to be. Yes, the wardrobe is fantastic, it makes the bedroom look double the size! 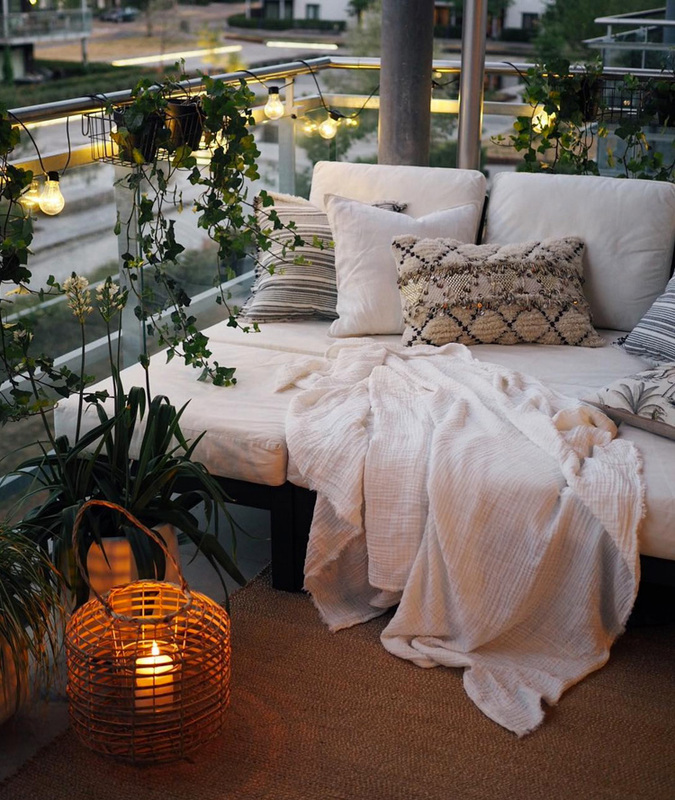 I'm with you Sara, the balcony looks so cosy!